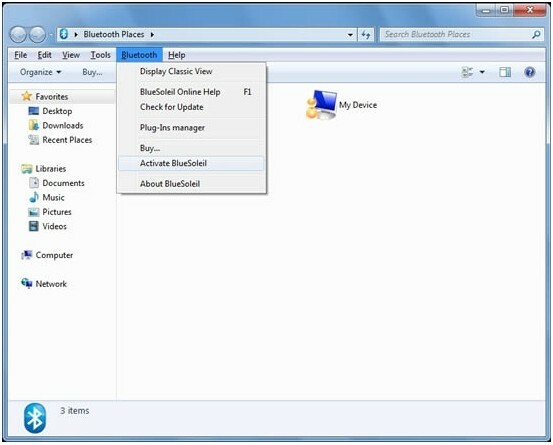 After downloaded ,you need to unzip the pakage ,then click .exe to install BlueSoleil .You know our software is not free ,so you need buy a serial number to active it if your dongle is not bought from this website . 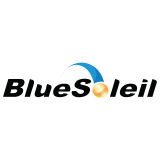 When Start BlueSoleil, there will be a warning box saying that BlueSoleil is running in evaluation mode. 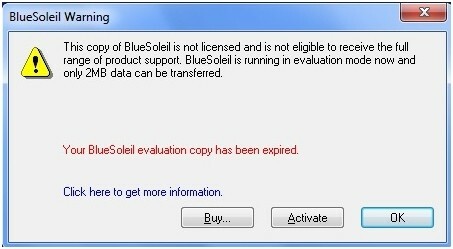 The inactivated software copy will run in data limitation, so please activate your BlueSoleil first before starting the program. 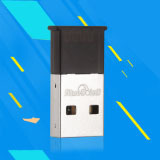 IMPORTANT: Please make sure you have an internet connection before activating. 1. 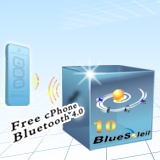 Select 'Activate BlueSoleil' in the 'Bluetooth' menu. 3. 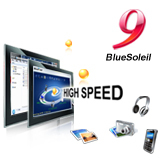 BlueSoleil will be activated over the Internet. 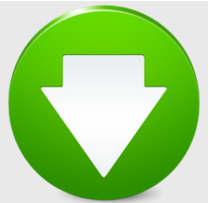 A tip will inform you when the activated process is completed.